Now that you know why you shouldn’t be tossing that old Sudafed in the garbage or the toilet, you can go to this website and enter your zip code so you know where you can take your old prescription drugs tomorrow. The fifth district substation at 1805 Bladensburg Road NE is the closest place to Capitol Hill and environs. You can also check out this guide from DC Water to help you along. If you can’t make it out tomorrow but still want to get rid of your prescription medications, go to your local pharmacy and ask for a disposal kit. 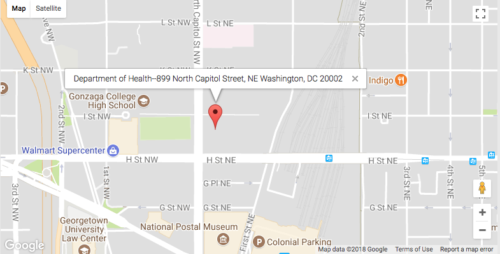 You can also visit the closest permanent location at the Department of Health, 899 North Capitol Street NE.